Inspiration times three! 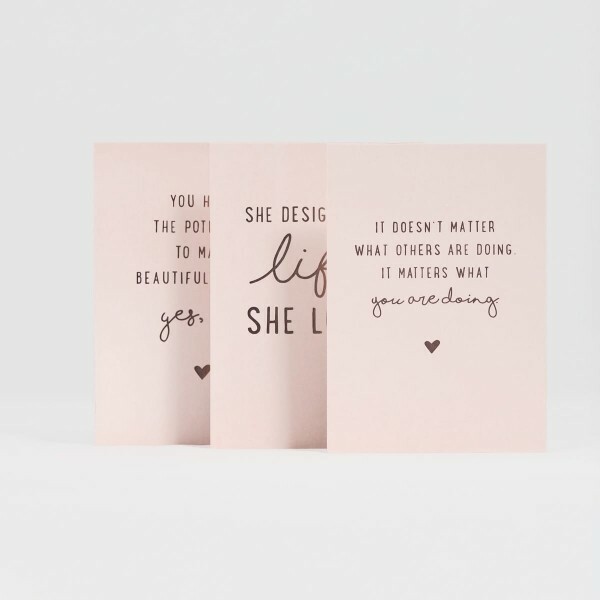 Gentle pink postcards with a strong message. These wonderfully designed postcards with rose gold foil stamping light up your and your loved ones' days.